The idea of Artificial Intelligence (AI) was codified at a conference in the American summer of 1956. It was summarised to mean the attempts to “make machines use language, form abstractions and concepts, solve the kinds of problems now reserved for humans, and improve themselves.” That initial formulation, a product of a particular time and place, has framed a great deal of research ever since. But what exactly is AI in 2018, and why does it loom so very large in our conversations about the future? 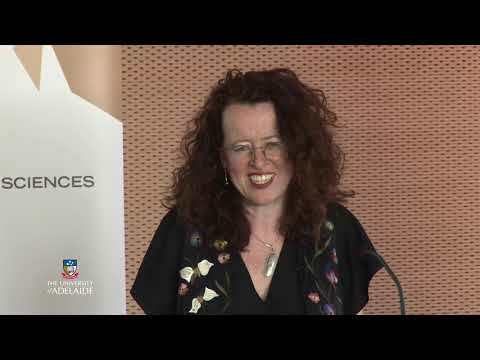 In this talk, Professor Genevieve Bell, will explore the ways in which AI, and our imaginings of it, could be subject to an anthropologically inspired set of interventions. Professor Genevieve Bell is the Director of the 3A Institute, Florence Violet McKenzie Chair, and Distinguished Professor at the Australian National University (ANU), as well as a Vice President and Senior Fellow at Intel. Prof Bell is a cultural anthropologist, best known for her work at the intersection of cultural practice and technology development. Prof Bell also presented the highly acclaimed ABC Boyer Lecture series for 2017.